I have to write a blog entry while I'm here in Hilo. 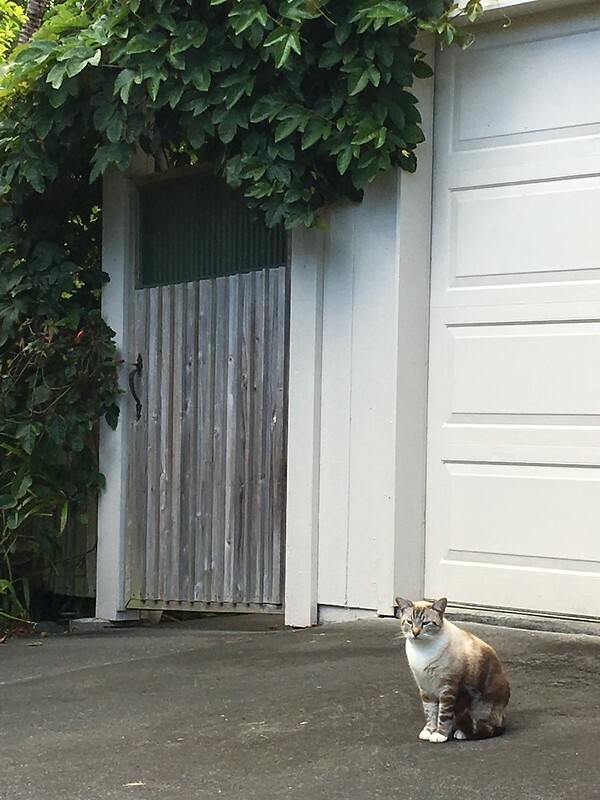 Our experience here has been nothing but wonderful - from our cozy apartment that has everything we needed, waking up to the sound of waves crashing to shore, the birds and coquis lulling us to sleep at night, to the aloof tabby cat that visits us in the mornings and evenings. For some time I've been yearning to find a reason to smile again, and it was here that I felt that deep, pure state of joy. I'm referring to that type of happiness that exudes when: you're with someone you love, you fall sleep to the relaxing sound of birds and frogs, and you wake up to the tapping of rain on the windows and rooftop. Our experience on this island taught us that it is the immaterial, simple, beautiful, natural things that radiate true bliss. I told Kepi I'd love to visit again even if this is my fourth time visiting the Big Island. Here's cute Mr. Kitty Aloof. 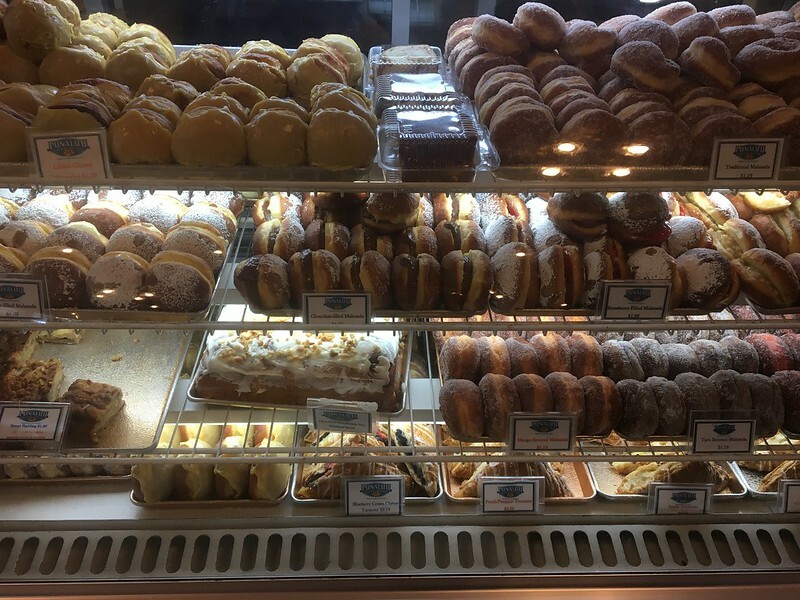 We certainly had our fill of Malasadas and other pastries at the Punalu'u Bake Shop. 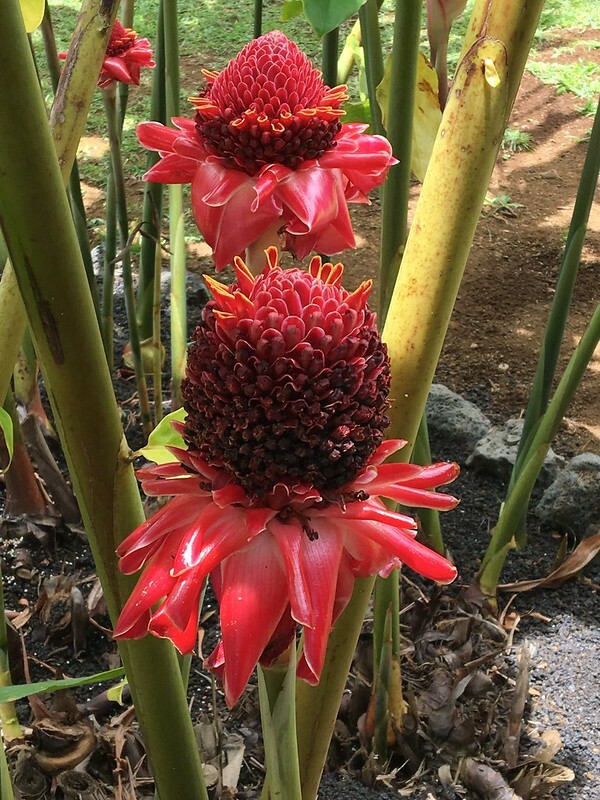 We saw exotic flowers just like this Red Torch Ginger. Tomorrow we will be flying to the island of Molokai. Our stay in Hilo has certainly made us temporarily forget what we will be dealing with in the next few months. Tonight, we sleep while the coquis sing their heart out. Linking this post with Our World Tuesday and Wordless Wednesdays. That's wonderful. You needed this. Get as much "ammunition of bliss" as you can in the islands so you can both fight a good fight. Hugs and thinking of you. Yes, we will. Thank you so much. At times, I wish we never have to leave these islands. What a beautiful place it is. Truly, it is. I'd love to move here one day. Sounds and looks like a great place. Good to know you both took some time for rest and recreation. And the pastries look yummy! I ate so much pastries here, that I've gained three pounds...lol.